Comprehensive video review of the Jet JWSS-22B scroll saw. 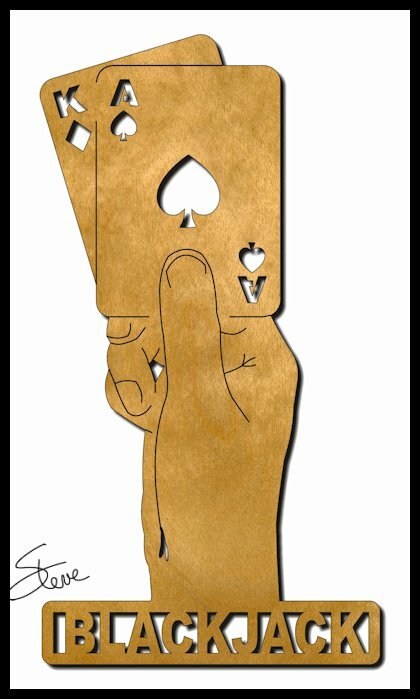 Blackjack Scroll Saw Pattern. Check out my eStore for Custom name ornaments and much more. I have had the Jet scroll saw in my shop for over a week now and I'm ready to give you my review of this machine. The video is long but I wanted to touch on a lot of information. Pour yourself a cold drink and butter up the popcorn. The video is best watched full screen in HD. The video is sponsored by Seyco the Scroll Saw Specialist since 1986. 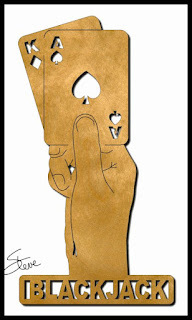 Please visit the sponsor and tell them you saw it here on the Scrollsaw Workshop blog. If you are reading this in the email newsletter you mat not see the video. Click this link to watch it in your browser. 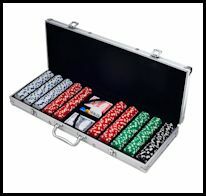 If blackjack is your game then this pattern is for you. We are getting down to the wire to sign up for the Bear Woods $75 gift certificate. Don't miss out on the opportunity to stock up on some free craft supplies. I will announce the winner immediately after the giveaway has ended. I will then notify the winner by email. No purchase necessary. Just enter and win. Take a few minutes to visit our sponsor. Bear Woods sells all types of craft supplies for the woodworker. Of specialist interest to us scrollers are the clock inserts, clock movements, Pegas scroll saw blades and toy parts. Just a reminder about the free online catalog. 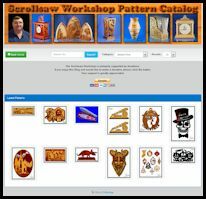 Every pattern ever posted on the Scrollsaw Workshop is available in this catalog. They are all in categories and searchable by keyword. Please look here before requesting a pattern with an email.